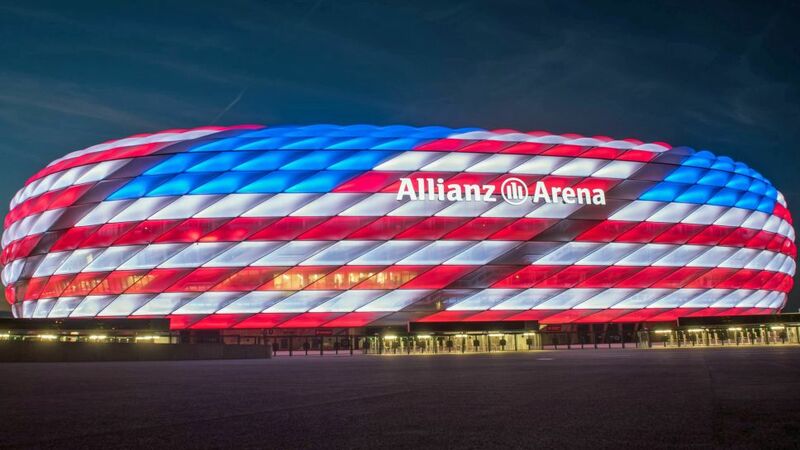 Recently crowned Bundesliga champions Bayern Munich will show off their title-winning class on the other side of the pond, as they head to the United States for friendly matches during the summer break. The 27-time Bundesliga champions will return to the US for the first time since 2016, making it their third visit in total, and this year they will compete in three pre-season friendlies as part of the International Champions Cup (ICC). James Rodriguez and Co. will first meet Paris Saint-Germain in Austria before travelling to the USA, where they will play Italian giants Juventus on 25 July at Lincoln Financial Field in Philadelphia. The Stateside trip will conclude with a match against Manchester City at the Hard Rock Stadium in Miami on 28 July, setting up a reunion with former Bayern coach Pep Guardiola. The fixtures were announced on Tuesday at a press conference in Miami, where Bundesliga legend and former Bayern midfielder Lothar Matthäus was present. The 57-year-old will also accompany the team alongside other club greats in the summer. In 2016, Bayern faced AC Milan in Chicago, Inter Milan in Charlotte and Real Madrid in East Rutherford, New Jersey, as part of the International Champions Cup.